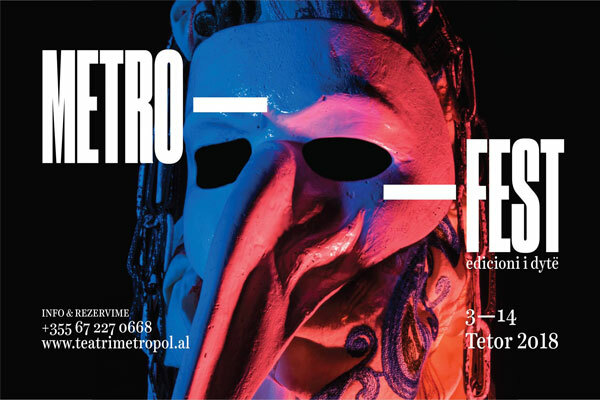 MetroFest is a new festival, which is organized for the second time at the Metropoli Theater, in autumn 2018, with the theme: Albanian Drama. The festival will include stage shows, new performances from Albanian drama archive that have never been put on stage and also works and discussions, which will be divided according to days on common topics such as Comedy; Historical Drama and Drama and Dictatorship. This festival is supposed to spur the new work and artistic research of creative powers that want to support the revitalization of Albanian works and their confrontation with the public. The Metropoli Theater continues to support the goal: more access to culture from more people, from all citizens, even those who are excluded or feel excluded from the financial ability, social origin or cultural background. The works to be staged are:‘Kryet e Hudhrës’ by Krist Berisha, ‘Rrajët lëvizin’ by Ernest Koliqi, ‘E mbesa e krahinarit’ by Kristo Floqi, ‘Makaronat e shejtanit’ by Lazër Lumezi, ‘Prangat’ by Halil Laze.